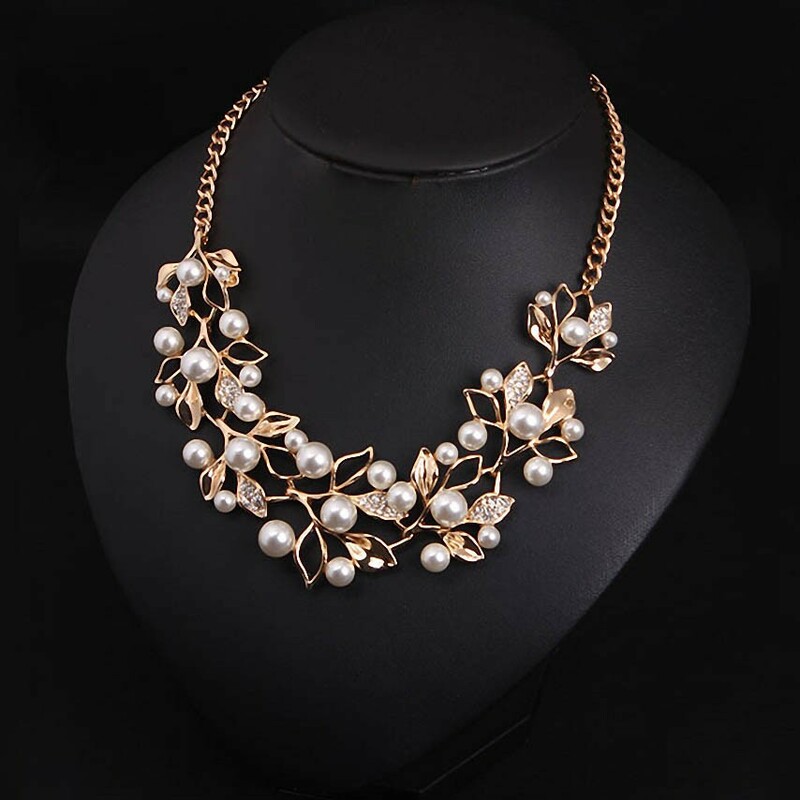 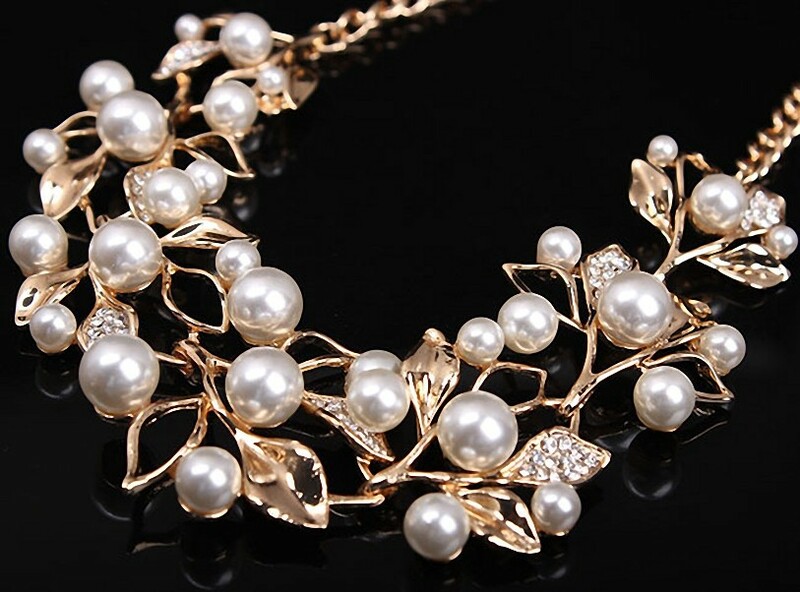 It's a Gorgeous and trendy Ethnic Simulated Pearl Leaves Statement Women's Necklace for Anniversary Engagement Gift Party Wedding. 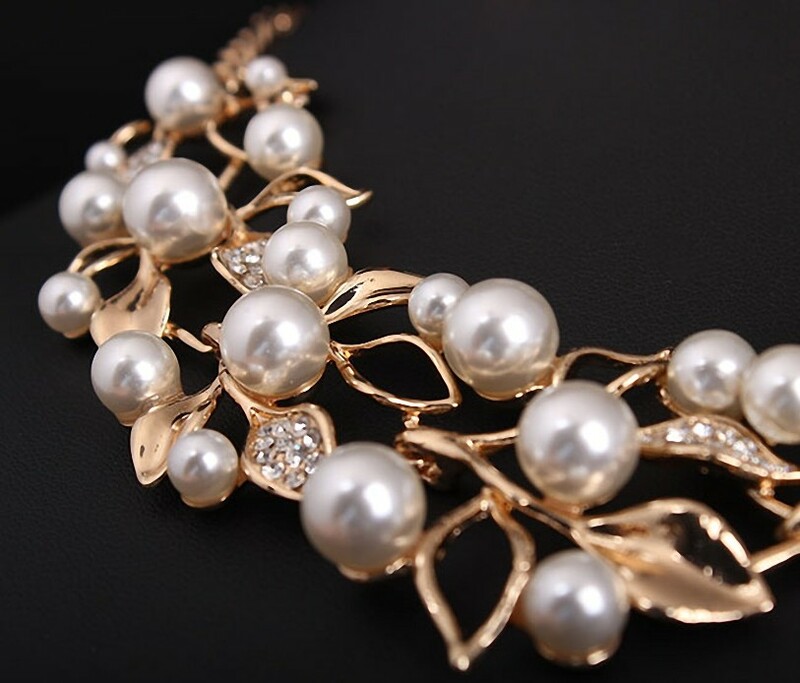 The beautiful Necklace is made of a high-quality 18*4cm Zinc Alloy Pearl decorated Pendant and Link Chain. 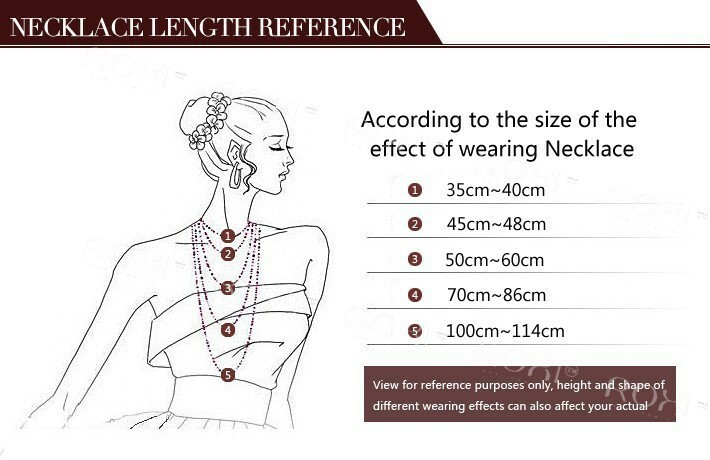 The Fashionable Necklace is now Available with 2 color variants.